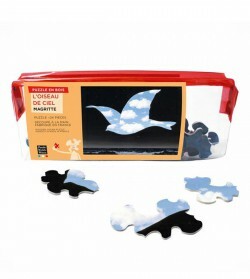 Artcraft, manufactured in France, the puzzles are cut out of plywood poplar from forests managed sustainably, in harmony with the environment. 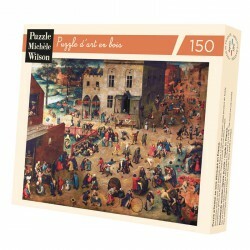 These jigsaw puzzles are more interesting than regular puzzles: the pieces all have a different shape, and you cannot sort them based on their shape. 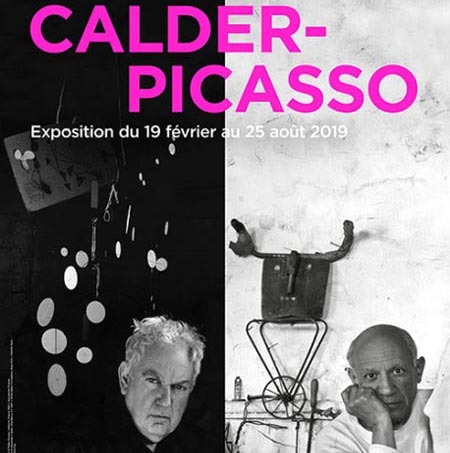 The cutting follows the theme: it is the craftsman, not a machine, who singles out the colours and creates the complexity. 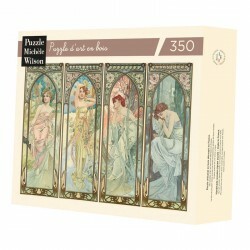 As each puzzle is unique, solving them always requires a different strategy. 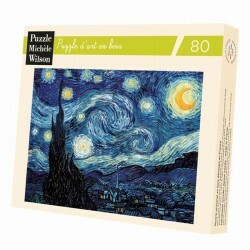 Art jigsaw puzzles There are 13 products. 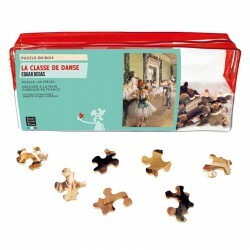 Hand-cut art wooden jigsaw puzzle of 80 pieces - Made in France and environmentally friendly. 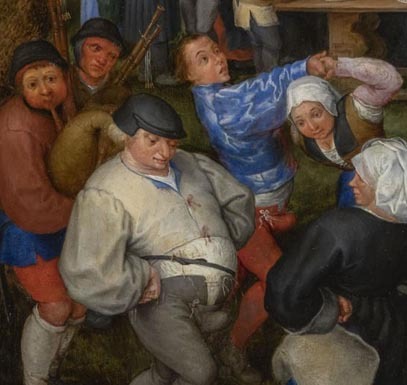 Sold in a luxurious box. 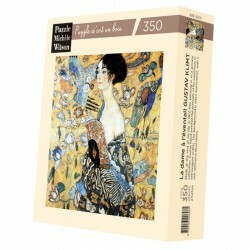 Hand-cut art wooden jigsaw puzzle of 350 pieces - Made in France and environmentally friendly. 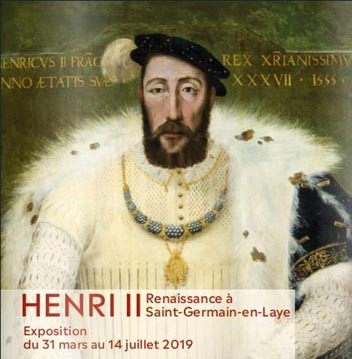 Sold in a luxurious box. 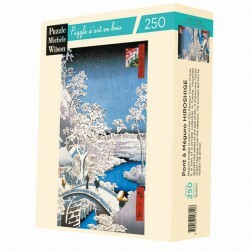 Hand-cut art wooden jigsaw puzzle of 250 pieces - Made in France and environmentally friendly. 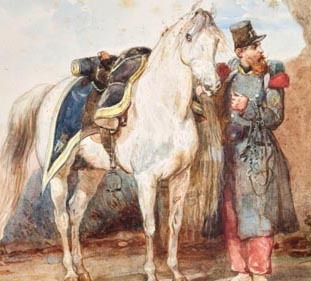 Sold in a luxurious box. 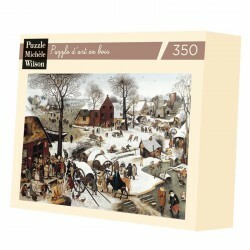 Hand-cut art wooden jigsaw puzzle of 150 pieces - Made in France and environmentally friendly. 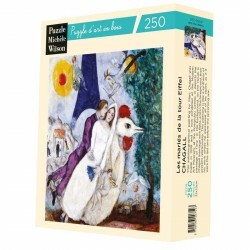 Sold in a luxurious box. 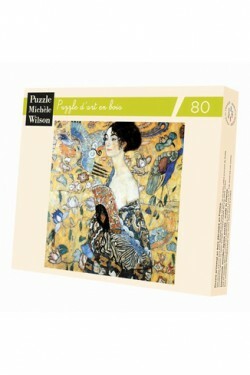 Art for children : this Michèle Wilson Children Art Puzzle is specially designed for children from 7 to 10 years old. 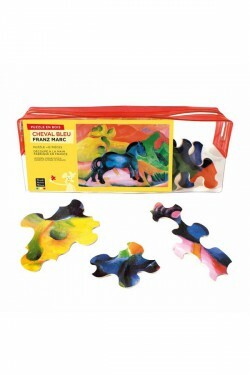 Pieces are all different shapes, making the challenge more difficult. 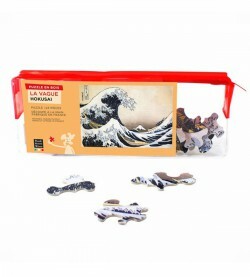 Handmade cutting tools and wood printed pieces provide incomparable puzzling pleasure.